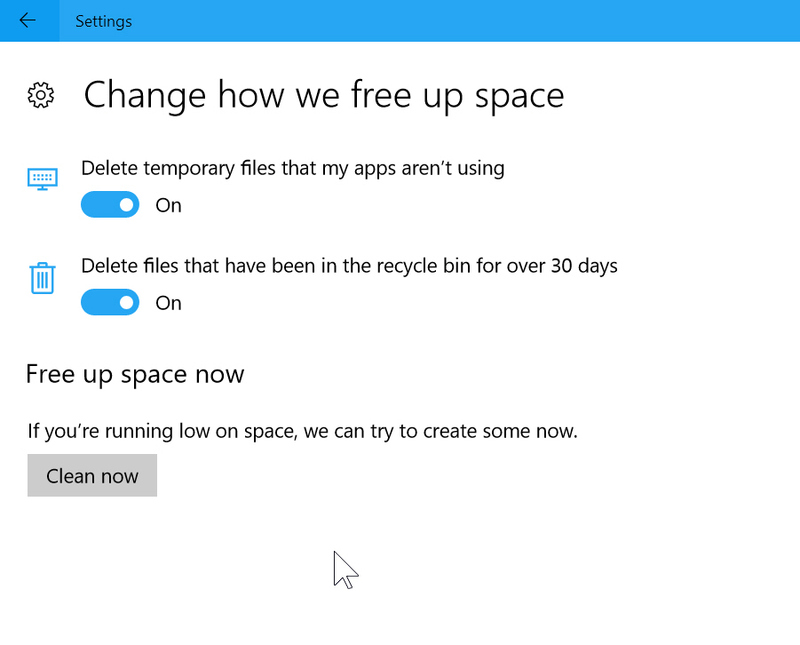 If you want to free up disk space in Windows 10, you can use the Disk Cleanup tool, or a third-party program like CCleaner. However, the Windows 10 Creators Update offers a third choice, which is to go through the Settings app. You can free up space, and also have the operating system automatically remove junk for you. To begin, open Settings, and select System. Click on Storage. 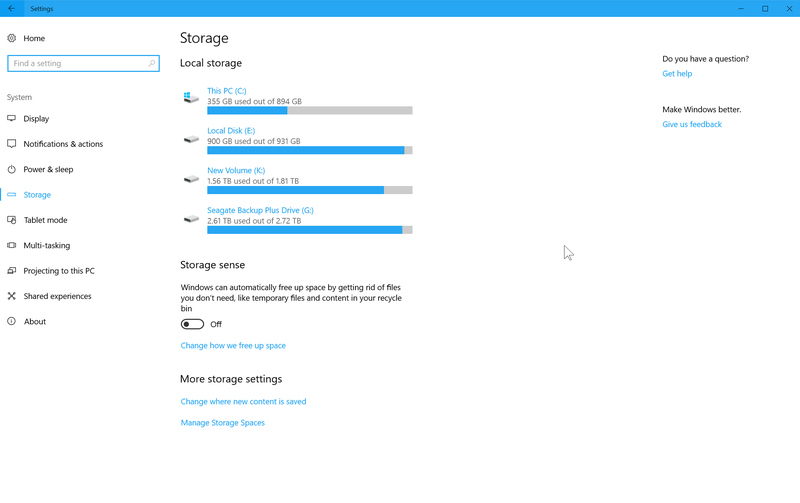 Click a drive (if you have more than one) and it will provide a breakdown of storage usage. You can then drill down further by clicking any of the folders. 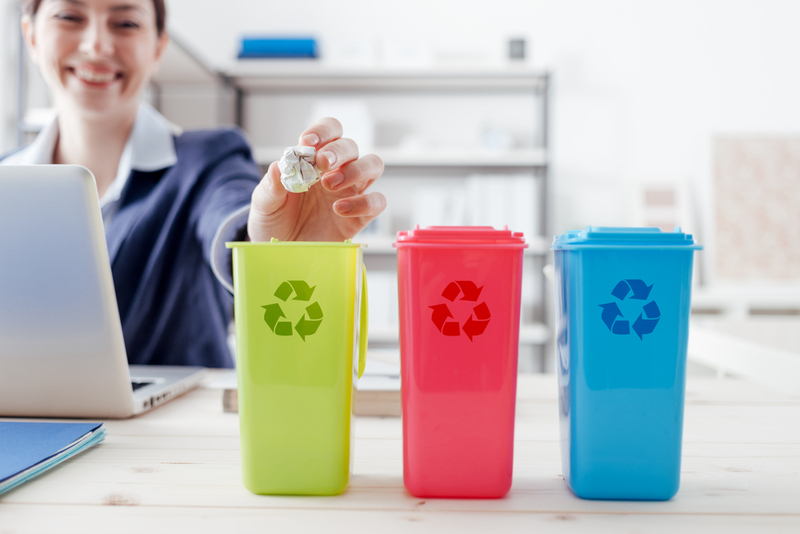 Windows 10 also comes with a 'Storage sense' feature which will automatically free up space by getting rid of files you don’t need, such as temporary files and content in your recycle bin. To use this, flick the toggle to On. You can choose what to target by clicking on Change how we free up space. The page that opens will also let you remove junk. Just click the Clean now button under Free up space now.